Uzair Bawany, COO at Traydstream, explains that the ancient process of trade finance is finally being transformed thanks to the application of artificial learning, machine learning and robotics. Although it drives the global economy, trade finance processing remains in a time warp and hasn’t really progressed over the centuries. Despite the modern digital world that we live in, current trade finance operations still involve manual, paper-based processes that are duplicated across multiple parties. The net result is that these activities remain extremely costly, time intensive and inefficient. At long last, the trade finance process is now the target for massive disruption to move into a new era of digitisation and efficiency. A good example of the problem is the transfer of trade documents. A supplier will draw up the documents and send them to its bank, which will then send the documents to the buyer’s bank, which will then send them on to the buyer. All parties involved basically perform the same process, which is an enormous waste of time and resources – and can take many weeks to complete. This status quo creates major inefficiencies at every point of the trade finance process, as well as security and compliance risks – with heavy fines and an abundance of regulatory obligations, becoming increasingly commonplace. Some firms have tried to digitise parts of the process with electronic Bills of Lading and other similar components to a transaction, but this really isn’t solving the real issue – as checks still need to be performed. Imagine the scenario of a trade transaction between two oil majors, transacting a large oil shipment. To start the trade, the shipment is made and the exporting major prepares its’ documents – this process could take between three and four days. The documents are then handed over to its bank for checking against the Letter of Credit, which could easily take two more days. At this point, it would be highly likely that the documents are sent back to the major for corrections due to discrepancies – which further delays the end-to-end chain. These documents are then physically sent to the buyer’s bank that will take another two days to process. If all is well, the buyer will get the documents to concur and be ready to pay. This end-to-end process could take ten to twelve days, not to mention the holiday impact – depending on jurisdictions. That said, oil majors, typically benefit from a faster turnaround, and so the process can be quicker. On the other hand, with SME’s, or other sectors, this process through the banking system could take much longer. It’s also a process that goes on day in day out for all companies trading in the international arena. The biggest barrier to addressing trading inefficiencies in the finance sectors has been the inertia to change. As trade finance processes have remained the same for decades, it’s hardly surprising there is a certain comfort factor associated with this. Additionally, over the last ten years, financial organisations have been faced with huge regulatory pressures and increased capital costs. A general political climate where banks need to become more utility-like in their approach has also meant that “change” has not been their priority. Thankfully, we are now seeing a new industry focus on efficiency and accuracy, driven by the huge attention on expense management – which is forcing organisations to be more receptive to change. Life after Brexit is also another key driver – especially when dealing with the inevitable changes in trading rules. Solutions are therefore being sought that enable operational processes to become leaner and fitter – and this feels like a behavioural shift which is more endemic. This can only be a good thing for the industry. 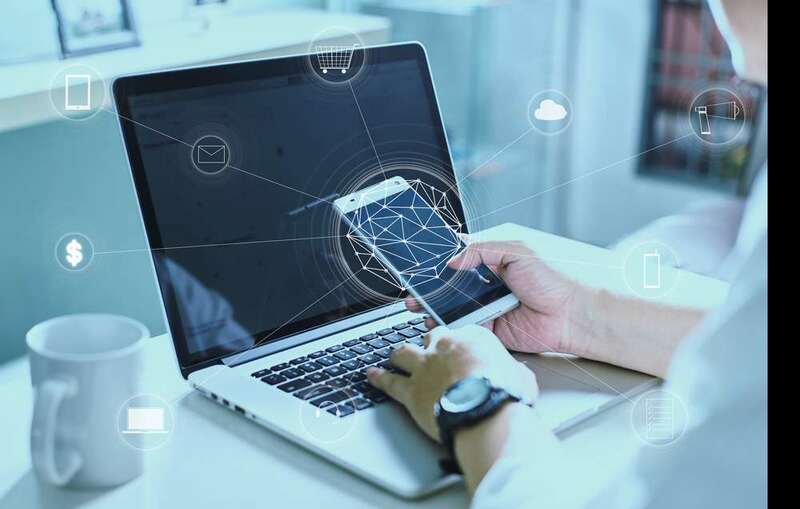 To overhaul the trade-finance industry and more specifically – the documentation process, senior management and business leaders in the banking and finance sector are embracing technology and championing it through their respective organisations. Digitalisation and leading-edge technology are now the key areas of strategic focus – driven by the promise of potential cost reductions, efficiency and compliance benefits. New technologies, such as robotics, are positively disrupting the trade finance sector, specifically with the automation of key processes such as moving documents and data, enacting document comparisons and performing due-diligence checks. Other technology innovations like artificial intelligence (AI) and behavioural learning can arm trading partners with transparency and predictability in global trade and provide a greater capacity to identify potential non-compliance and fraud risks. New digital, cloud-based, platforms are emerging that enable banks and corporates to complete trade finance operations, in minutes – rather than days. Through the use of best in class technologies, in a safe and secure manner, information can be shared, checks can be conducted and the entire process can be consummated quickly. These platforms work by scanning trade finance documents and extracting the data using advanced Optical Character Recognition (OCR) software which the platform can use downstream. Subsequently, the data is run through a very sophisticated artificial intelligence and machine learning-based, rules algorithmic engine. These platforms are able to come up with responses and decisions which humans currently take on a daily basis, enabling the entire process to become data-driven – as opposed to paper dependent – with an exceptionally high rate of accuracy and precision. These automated steps include document discrepancy-checks, due-diligence, and regulatory and compliance screening, thereby making the role of the user, more the exception rather than the rule in discovering errors, and removing the need for mundane, repetitive activities. The underpinning of any global system for banks and corporates needs to be in a very safe and secure environment, so platforms use the best in class measures to keep data partitioned and protected. Very soon, blockchain technology will also be integrated to further enhance transaction processes and research is currently being conducted on live trades. Once incorporated, it will reduce the trade cycle time even more. This new technology wave promises to reduce the costs and complexities of trade finance for banks and corporates, and even enhance working-capital management. The use of Smart contracts (i.e. digitised contracts), AI and Machine Learning to automate processes – ensures a more streamlined operational process across the whole Trade ecosystem. The ability to access, examine and approve original documents remotely and separately from other parties—anywhere across the supply chain— will improve logistical efficiency at banks, ports and terminals. By enabling individuals in different countries to collaborate on drafting digital documents, it will also reduce errors, centralise processes, maintain data integrity and accelerate the completion of agreements from weeks – to minutes. Another key benefit of digitalisation is by increasing visibility and by making processes more efficient and reliable, it becomes easier to comply with regulatory requirements. With the increased control and visibility over documents, and the capability to instantly transfer documents across the globe – this can help organisations reduce the risk of fraud too. Documents can be issued or endorsed only by authorised users and can be configured to prevent unwitting transfer to sanctioned parties. There are also wider economic benefits. As the cost of processing a letter of credit decreases, this reduces the entire cost of trade finance operations. The ease of process also facilitates customs-clearance procedures—allowing goods to move through supply chains more easily and reach consumers faster. Although change won’t happen overnight, and transformation is still at an early stage, there’s clearly great potential for technology to create major efficiencies and opportunities in the trade finance sector. Ultimately, as finance sector organisations continue to show increased interest in collaboration, and as technology continues to innovate – the multiple benefits for all parties operating in trade finance will be transformational.